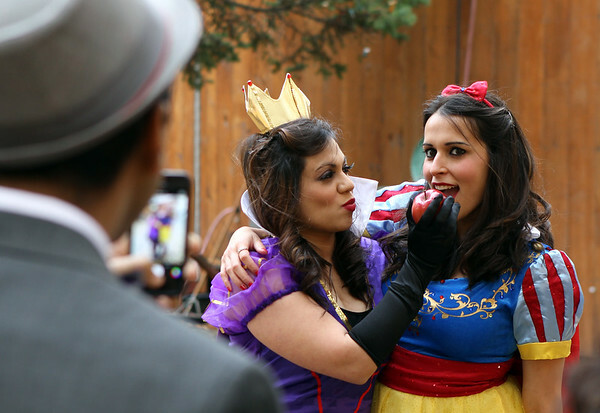 Shivani Patel, dressed as the evil queen, feeds an apple to Katrina Abdalla, as Snow White, while Darshan Kothari, left, takes a photo of the pair on Salem Common on Friday afternoon. DAVID LE/Staff photo. 10/31/14.